Earth surface covers 71% of water but 96.5% of it are salt water. So in this big planet, you have very less water for daily use. Water is considered to be a scarce resource and we have states and people fighting for water also a place where there are drought conditions. So using the water more efficiently and productively is very important. If you are looking for ways to save water, in this post, we have covered some ways to conserve water. In many places in urban areas, there is no water shortage and people do not have control over their use of water. They should understand the importance of using it. You should understand the fact that use more water also leads to more electricity consumption. When we know that water is such an important resource we should be opting for techniques to save water and preserve them for our and future use. There are many simple habits which help you to preserve the water that inculcated in our day to day life and activities such as washing utensils, washing clothes, brushing teeth, gardening and many other activities. Do you know that just because of unknown leaks in tap, pipes, and toilet there is wastage of water around 11000 liters, so you should make sure that you get the repairs done for the leak areas and never delays such kind of repairs. We always tend to switch on the tap while we are brushing our teeth or shaving this almost leads to wastage of 10 liters per minute. We can save a lot of it if we turn off the faucet after you wet the brush and turn on when would want to rinse it. In the process of washing hands avoid we switch on the tap even while we are scrubbing your hands so it is advisable that you turn it off while scrubbing and switch it on while rinsing. Older flushes take almost to 2 to 3 times more in comparison with the flushes that are new. So replace when the flush gets old with a new one. Install a tap or a faucet aerator because the faucet aerator or tap will add air to the water that will help in giving the water a consistency and use less water overall. You can almost save up to 80% of water by using this. Try and bath for a short span of time as that reduces the consumption of water and this will not only help you in saving water by also help in retaining moisture in your skin so it is always recommendable to bath for a lesser time. Most houses these days have RO purifiers and almost for every 1 liter of pure water, there is wastage of 3 liters of water which obviously a huge quantity so it is recommended that the wastewater to should be reused. OEIR RO Purifiers are gravity based, they UV and UF purifiers which help in preserving a lot of water. The RO purifiers wastewater should be used for cleaning vehicles washing clothes and many other things so this water is not wasted. When we wash utensils we leave the tap open so it recommended switching it on only when you want to rinse the utensils. If you are cooking any defrost food the rather than putting it water you should defrost the fridge this will help you in saving water. It’s better to take a bowl and wash all your fruits and vegetables it rather than letting the faucet run. It is also important that you have a water meter set outside you houses because that actually helps you to have a count on the water and its usage. Also, set a water tank overflow alarm so that you shut off the water pump this way you will save water as well as electricity. Automatic water level controllers can also be installed in your houses as that helps in having a proper control on the inflow and outflow of water also this helps in automatic switch on and off according to the requirement of water. Wash clothes with an interval of time rather than regularly, Do not let an empty washing machine run like just for 2 socks or a single handkerchief better that you use it when you have too many clothes. Use high-efficiency washing machines, Try to use front-loading washing machines rather than using top loaded because they use less water. You have many new sprinklers coming up for gardening which can prevent a lot of wastage of water. They are many ways that you can preserve water but the most important thing is you should take an initiative to do so. 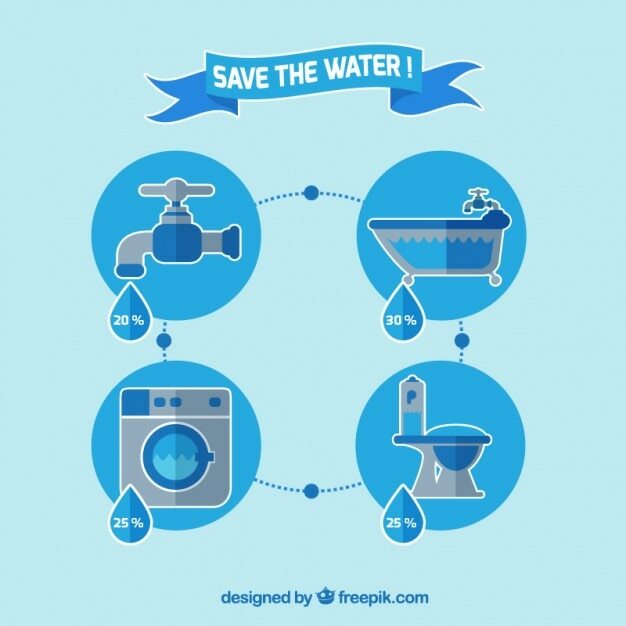 Which is your favourite way to save water, let us know in the comment section.